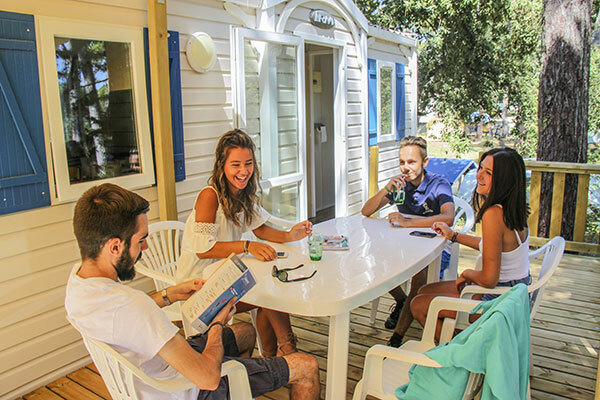 Book your stay in Royan by selecting from our wide range of comfortable accommodation the mobile home that suits your family: from small locations for 2 to 4 people designed to accommodate a couple with or without children, to large capacity mobile homes that can accommodate 6 to 8 people in the best comfort. For a romantic holiday for two by the sea or a getaway with friends, our fully equipped accommodation ensures you a relaxing night’s sleep and a stress-free daily life. 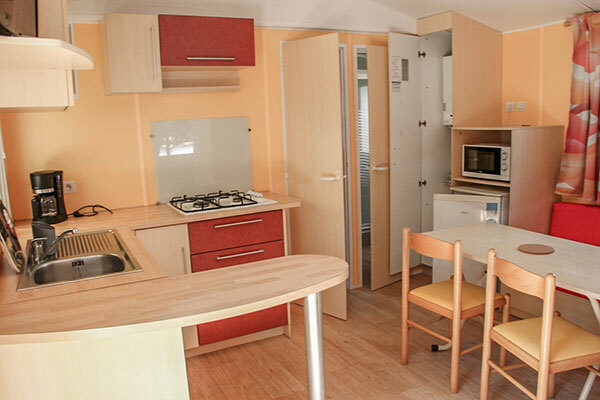 The mobile homes for 4 people offer 25 to 30 m2 of interior space and two bedrooms. The mobile homes for 4 to 6 people have a surface area of between 32 and 40 m2 and have an additional bed outside the room. The large rental units designed for 6 to 8 people have 3 bedrooms, for a surface area of about 40 m2. You can enjoy, in the family cottage, the comfort of two bathrooms: a particularly functional service for a stay with friends. 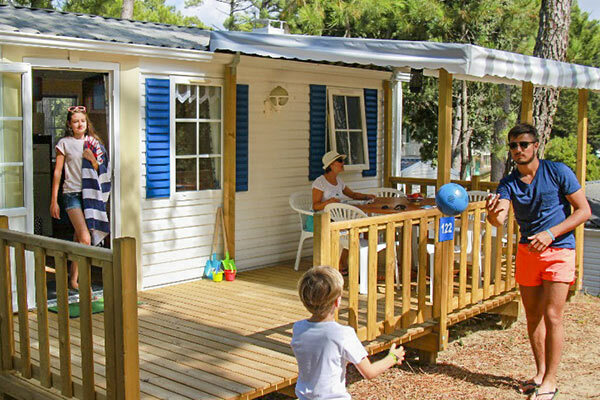 All our mobile homes near Royan have a wooden terrace where you can enjoy the outdoors and the benefits of the sea air. On cottages with 2 or 3 bedrooms, it has a friendly surface area of 15 m2 and is covered on 3 linear metres. The O’hara model has a terrace sheltered by a partition that completely closes off a part of it: a comfortable, intimate and sheltered from the wind space is thus created in addition to the sunny terrace part. The mobil-homes of the Loggia chalet type offer the amenities of an integrated covered or semi-covered terrace that is particularly cosy. 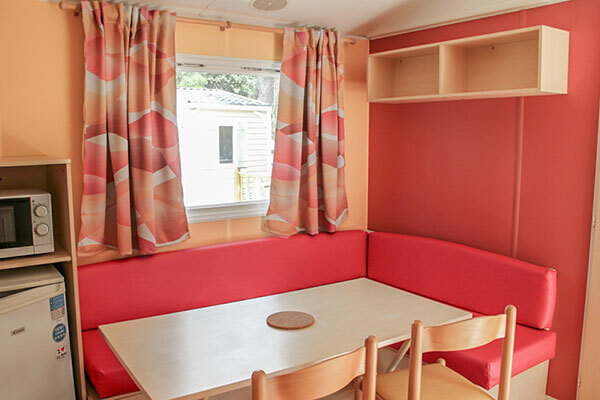 Among the comfort services of our various mobile homes are, depending on our models, television, air conditioning, Wifi access, double shower room. 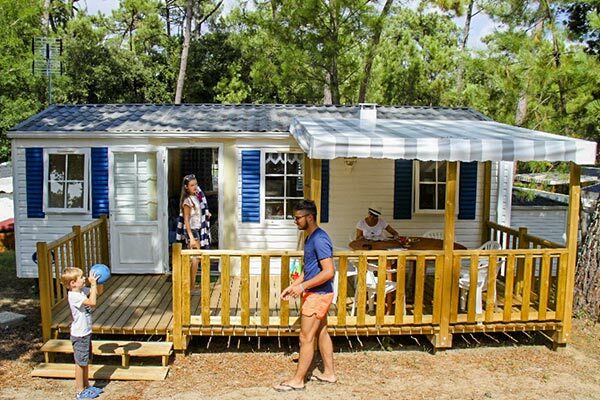 Choose your mobile home model for your next family holiday in Royan!